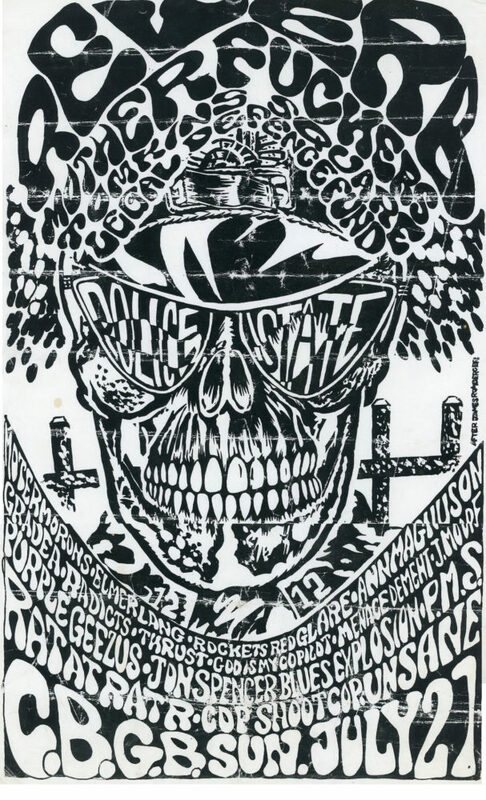 Poster for Tompkins Square Legal Defense fund benefit with illustration by John Terhorst (image of rotting riot cop inspired by James Romberger). Event organized by Marguerite van Cook for Park Rights Council, Tent City and legal defense. Featuring Rockets Red Glare, Ann Magnuson.